On 2nd November the Bank of England announced that the public can vote for their favourite scientist to appear on the new £50 notes. If you wish to nominate someone, just go the Bank of England website. You have 6 weeks from the 2nd November to vote. 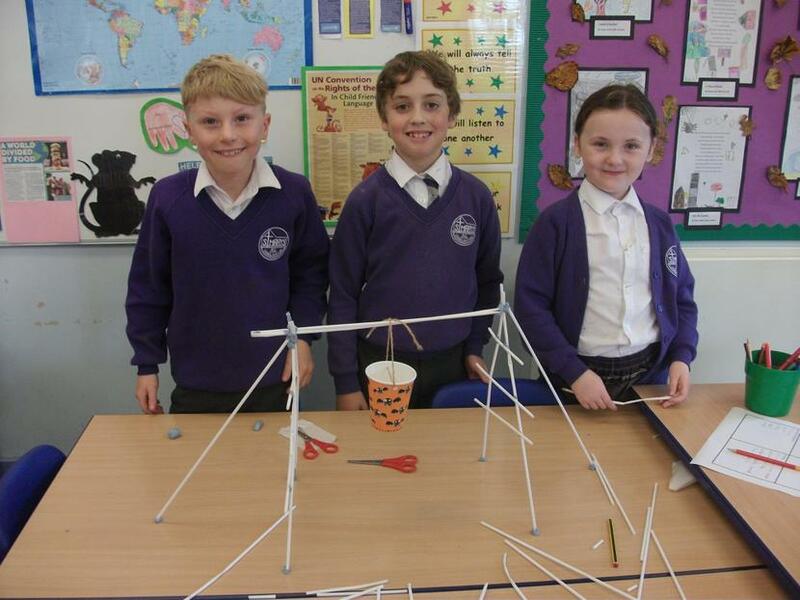 May's STEM Quiz - it's out of this world! 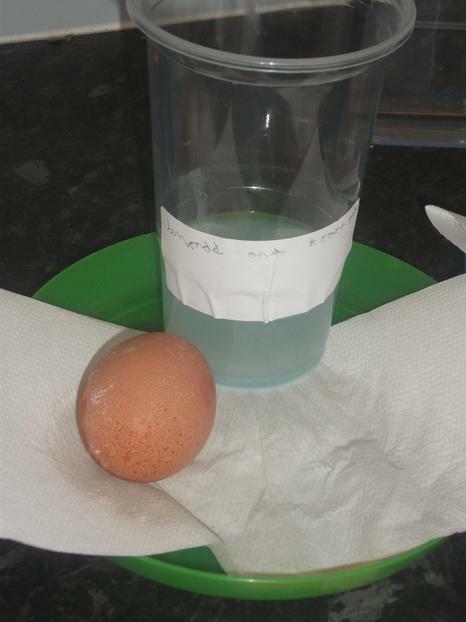 April's STEM Quiz - Go on...have a go! "Failure is not the end, it's just the starting point of our next endeavour." At St. Mary's we love STEM and learning about God's wonderful world! 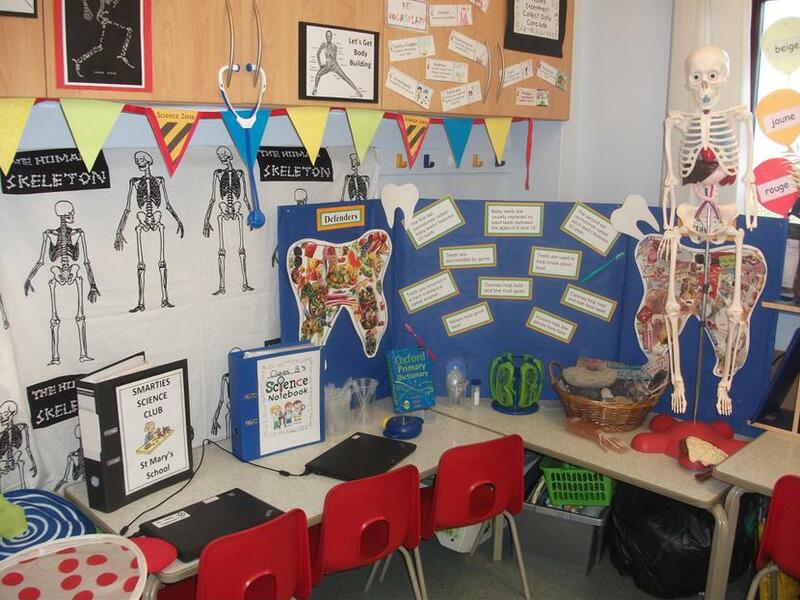 Each classroom has their own dedicated science zone where the children are able to undertake their own independent investigations and research. 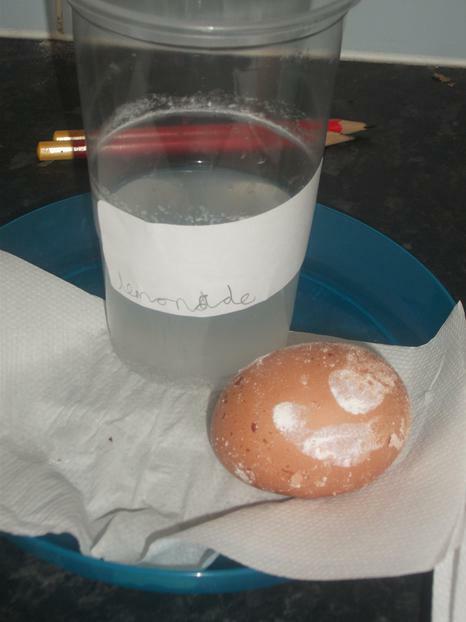 Children may bring in their own objects and artefacts to share with their class. Don't forget to check out this month's STEM Quiz at the bottom of this page. 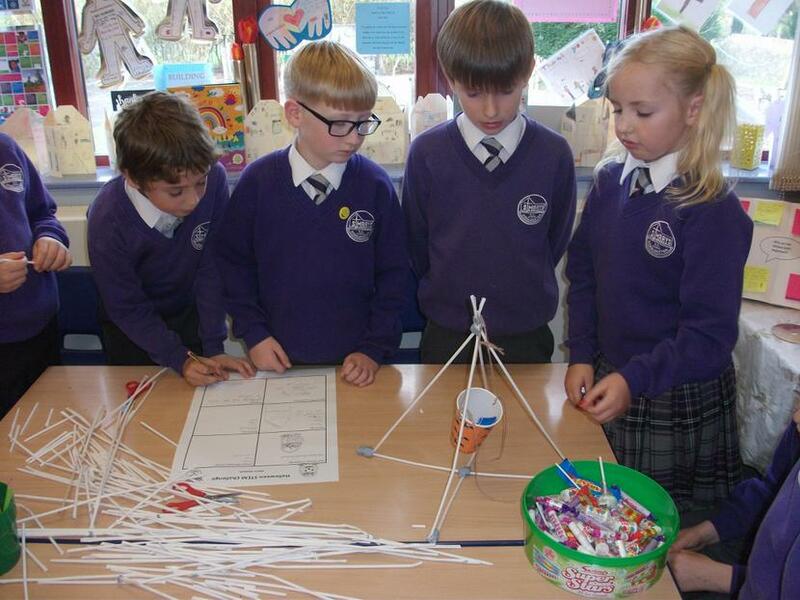 We hold dedicated STEM events throughout the school year. 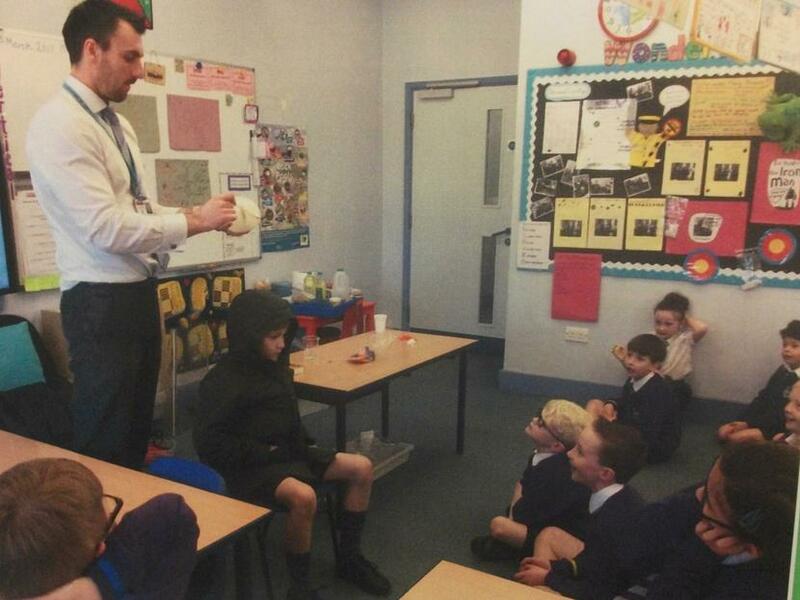 Classes carry out investigations around the school and take part in demonstrations from visiting science teachers. 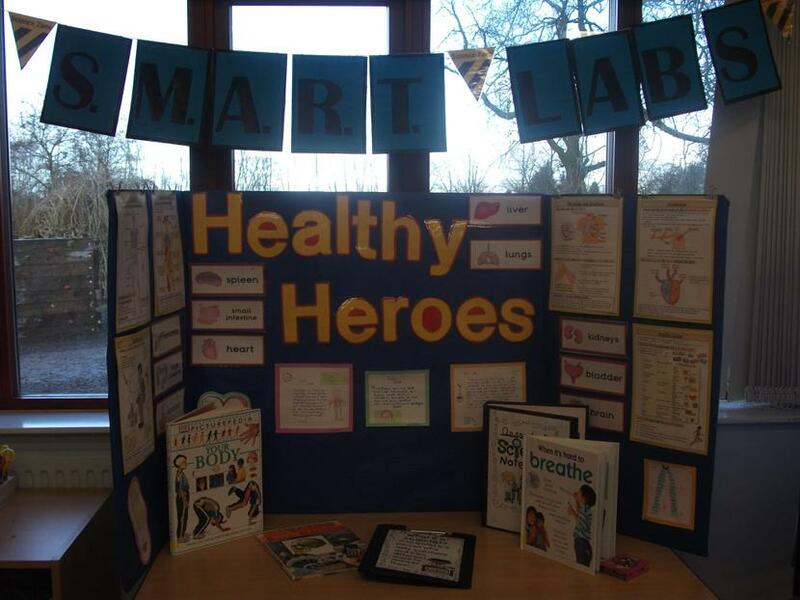 We record our findings in a variety of ways and hold interactive science fairs for our school families to attend where the children re-create the experiments they have carried out and share their findings. 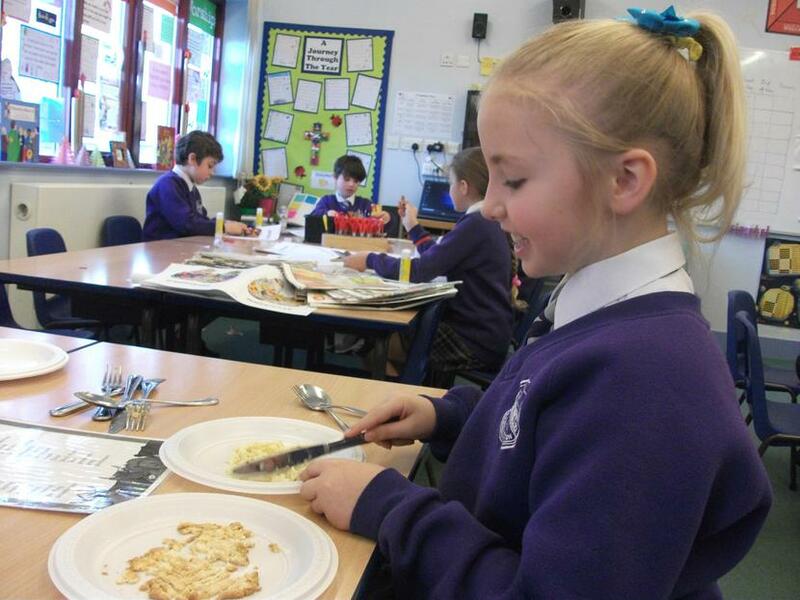 We have a huge amount of fun and the children gain many skills including what to do when something fails because at St. Mary's we believe that failure is not the end, it's just the starting point of our next endeavour. 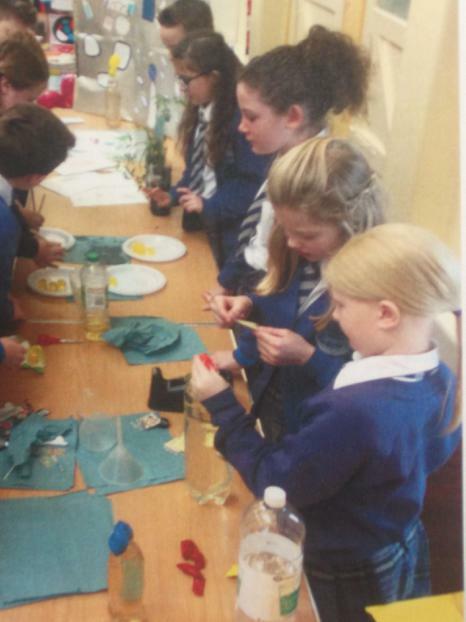 In class we hold STEM days to extend our learning and increase our understanding of the whole curriculum. jobs of different teeth. defend teeth and those that attack them. 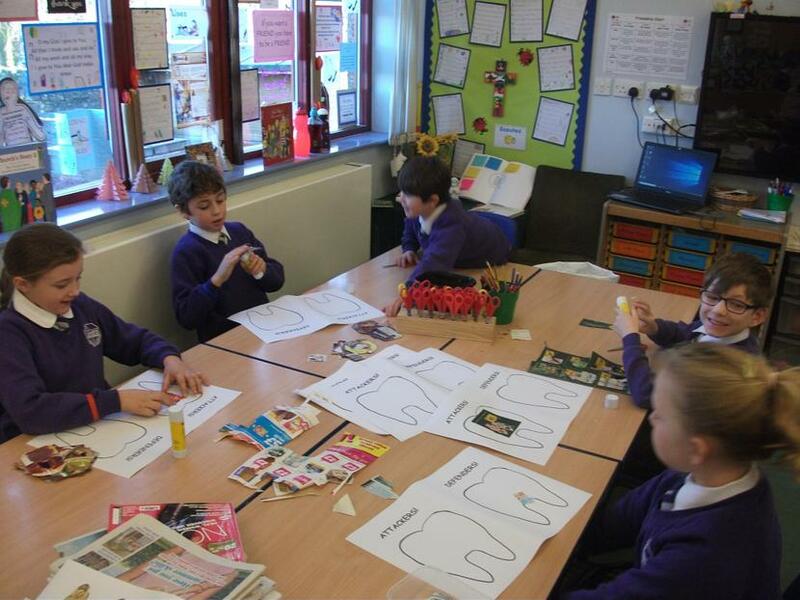 Investigating how well toothpaste protects our teeth. 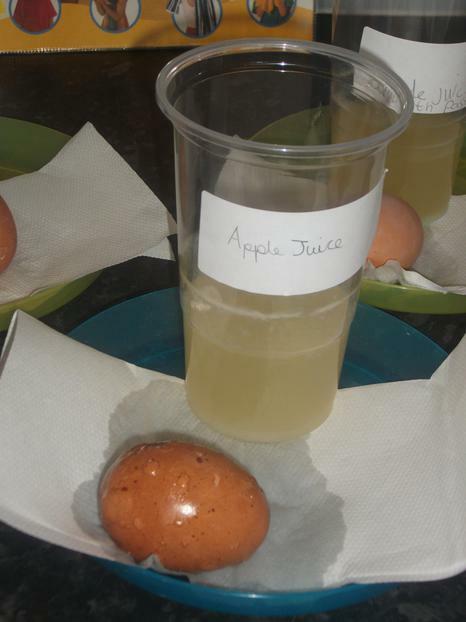 We left the eggs in different drinks for a week and observed the changes every day. Half of the eggs had toothpaste rubbed into them and half didn't. 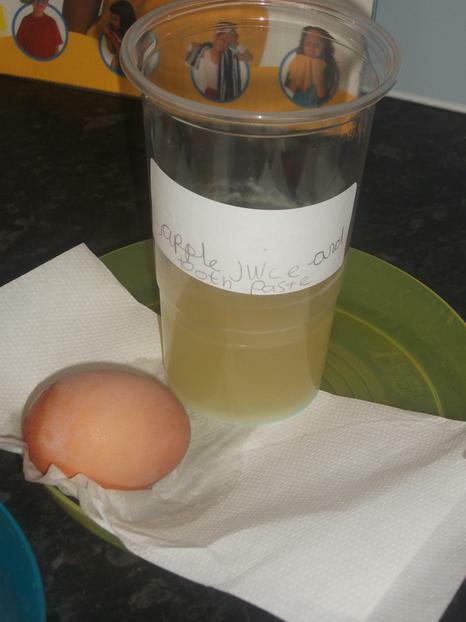 We were very surprised to find bumps and bulges all over the egg with no toothpaste which had been left in apple juice. 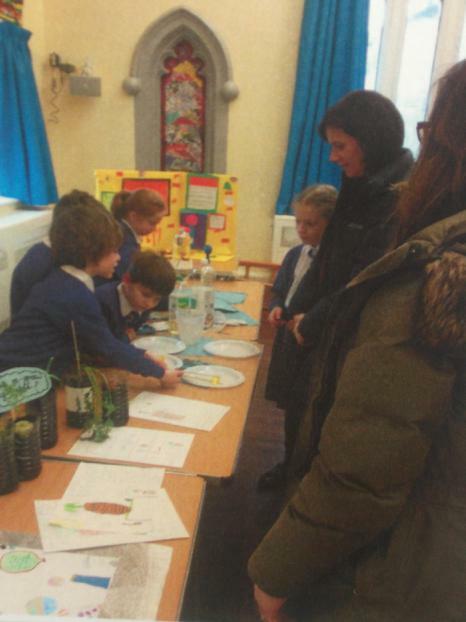 Class 1 had a wonderful afternoon sharing lots of fantastic STEM learning with their parents. 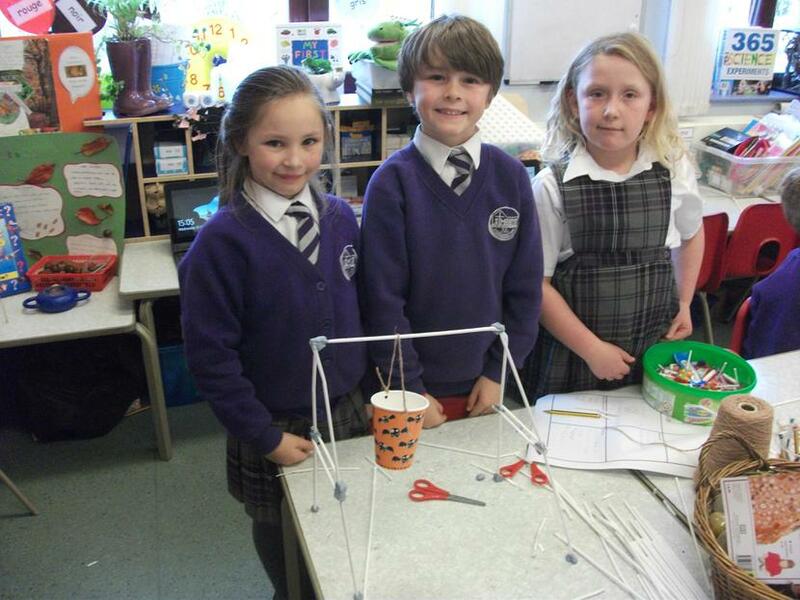 The children were tasked with the challenge of building a free standing tower, using only art straws and blu-tak. 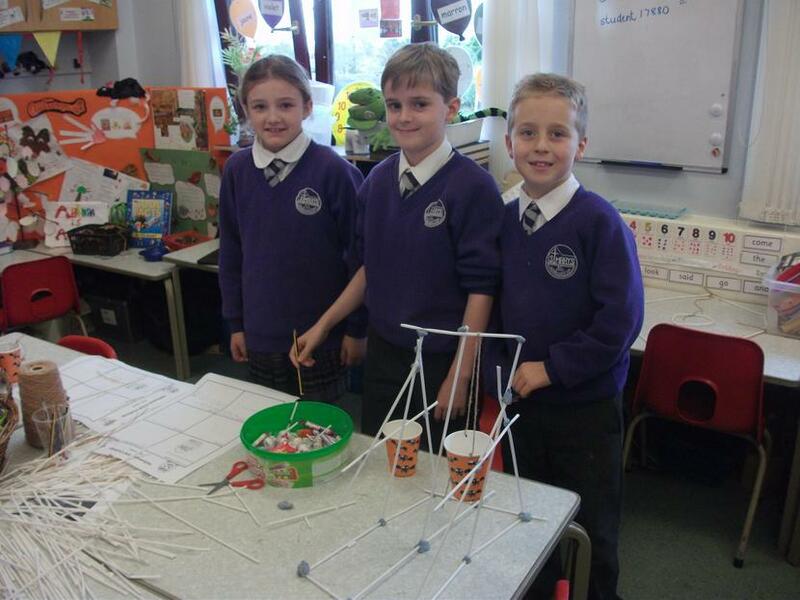 After it was built we suspended a bucket which was filled with sweets to test the strength of the construction. We tested each one to destruction!